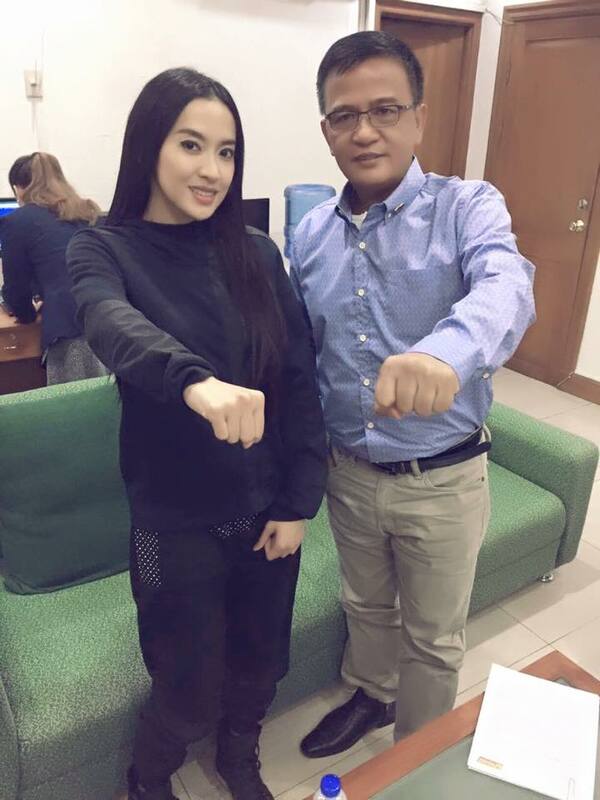 MANILA, Philippines - Bureau of Customs (BOC) Commissioner Nicanor Faeldon has denied reports that he has appointed celebrity and social media personality Mocha Uson as social media consultant. A report by ABS-CBN News about the appointment of Uson, a staunch supporter of President Rodrigo Duterte, surfaced on Thursday, August 4. “Comm. Nicanor Faeldon will not appoint Mocha Uson as BOC Social Media Consultant but she can write articles about BOC on her blog,” the BOC said in a statement on its Twitter page shortly after the report went viral on social media. In his interview with Rappler, Faeldon said that Uson, a very active blogger, wants to help the BOC disseminate information particularly about their reform agenda through her blog. Uson, has amassed over 3.9 millions on her Facebook page and 96,000 followers on Twitter. "She advised also on how to improve our social media activities. But there is no official appointment. We invite everyone, you can also help us if you want. It's a voluntary act on her part," Faeldon added. According to Uson, her curiosity with the BOC started after she received messages from overseas Filipino workers (OFW) having problems with their balikbayan boxes. This prompted her to conduct an interview Faeldon in order for the latter to clarify issues haunting the BOC. Duterte has appointed several celebrity supporters to government posts including musician RJ Jacinto as Undersecretary of Presidential Adviser on Economic Affairs and Information Technology Communications and musician Freddie Aguilar as chairman of the National Commission for Culture and the Arts (NCCA). The 71-year-old President has also nominated TV host Arnell Ignacio as assistant vice president for the Community Relation and Services Department of the Philippine Amusement and Gaming Corp. (Pagcor) and musician Jimmy Bondoc as assistant vice president for entertainment for Pagcor.